Spring celebrations for Box King! 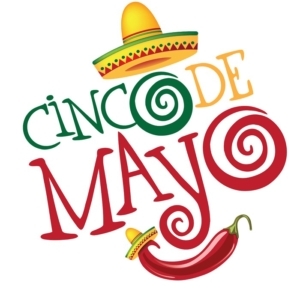 It’s Spring and we are celebrating Cinco de Mayo! It began as a celebration of the victory by the Mexican army over the French at the Battle of Puebla. I feel a little like celebrating myself. After a long search, we have finally hired a new graphic designer. Fittingly enough for Spring, her name is April Miller. April is a graduate of Ursuline College, with a degree in Visual Communications Design. On top of her degree, April has years of real world experience in creating for print applications. Hooray! Now I can get back to steering the ship instead of doing the rowing. Please say hello to April when you see her in the store and help welcome her to our team. Spring has been busy behind the scenes here at Box King, as we have added an additional piece of finishing equipment. We just purchased a folder/inserter/sealer that does the work of three people when it comes to mailing. It will fold your mailing, add a return envelope, insert in into another envelope, then seal it making it ready to mail. This will allow us to reduce our cost for those services to our bulk mail customers, as well as keep us from having to have “envelope licking parties”! Just kidding, no saliva has been used in the delivery of your mail! Do you do Spring cleaning at your house? We have just partnered with Quest/ShredMill here in Springfield to offer document destruction and shredding services. Bring in all your outdated financial records, tax forms, expired ID’s or passports. Anything that could potentially give an identity thief access to your life. We will make sure it is securely destroyed, giving you peace of mind. For anyone who loves Spring, much like I do, you hope it’s a smooth transition from the cold harshness of winter, to the warming heat of summer. For Box King, it’s a time of growth and looking forward to what the second half of the year holds. I hope for you, it holds the same sense of promise.